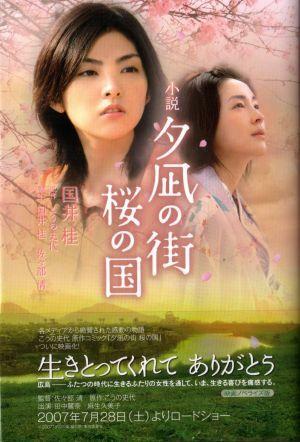 28-year-old Nanami (Rena Tanaka) follows her father to Hiroshima. She goes there because of her father's suspicious behavior. She learns about his background and his older sister Minami (Kumiko Aso). Based on manga "Yunagi no Machi, Sakura no Kuni" by Fumiyo Kono (first published September, 2003 in Japanese seinen manga magazine Manga Action).